Founded more than 150 years ago as General Mills’ exclusive internal food testing lab, Medallion Labs has earned a solid industry reputation by blending rigorous science, analytical testing, and industry expertise. 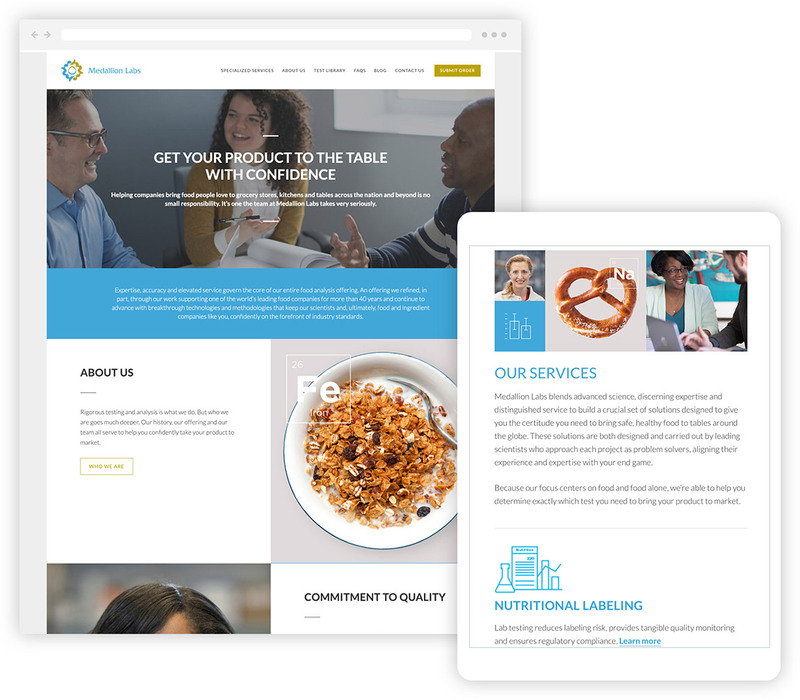 Without any significant changes to their brand platform or marketing materials in several years, Medallion Labs was left playing catch-up with their competitors. Even more concerning, an outdated website and lack of content marketing strategy resulted in poor site traffic and low awareness among their key audiences. Olive redefined their entire brand messaging and audience engagement tactics. The final piece of the digital marketing puzzle was the creation of targeted social media campaigns and digital ads which drove traffic to service-specific landing pages that highlighted Medallion Labs’ capabilities, expertise, and knowledge. Conducted interviews to gather brand perception insights from key internal and external audiences. Designed and developed a custom website based on business goals and user needs. Performed a digital marketing audit and assessment. 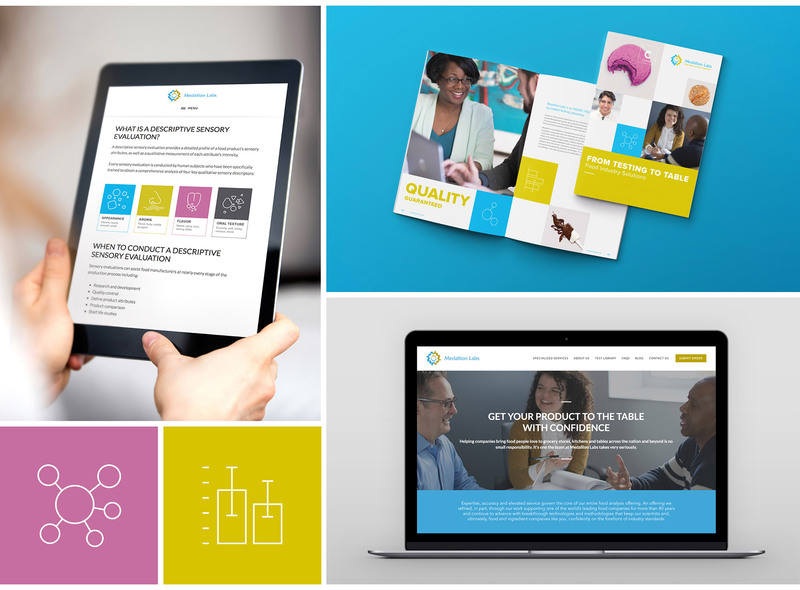 Developed audience personas and updated brand messaging. Created a comprehensive content marketing strategy that focused on thought leadership content, paid social, and continuous SEO improvement.